Up here in Canada, the snow has started to fall and the days have grown colder and shorter. It's time to pull our winter boots on and bundle up in our heavy parkas and head out into the frozen tundra to build snow homes strong enough to survive the cold, harsh Canadian winter. Of course, I am just joking, but hundreds of years ago, people actually did live in igloos. The igloo, or snow house, is a widely recognized Canadian icon. Aside from the good-humored jokes about Canadians living in igloos, they play an integral role in Canadian history. The Inuit people invented the igloo hundreds of years ago to provide temporary shelter from the cold climate and winter tundra of the Arctic while on fishing and hunting expeditions. In this fun crafting activity, learn how to make an igloo without having to leave the warmth and comfort of your own home. 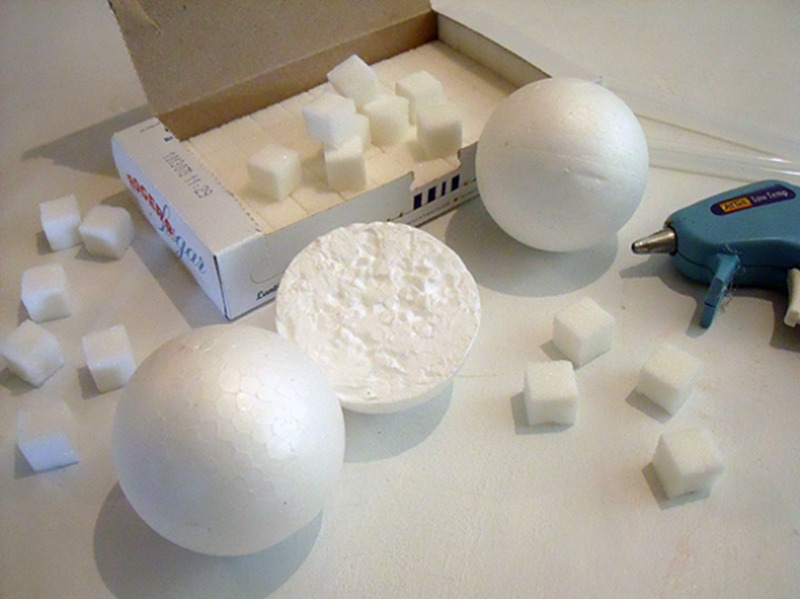 Instead, I will show you how to make an igloo using sugar cubes, styrofoam craft balls, and a hot glue gun. There is no need to bundle up and go outside in the cold in this fun Canadian activity. This is an easy interactive craft that is helpful in teaching students about the Inuit people of Canada and the basic structures of igloos. 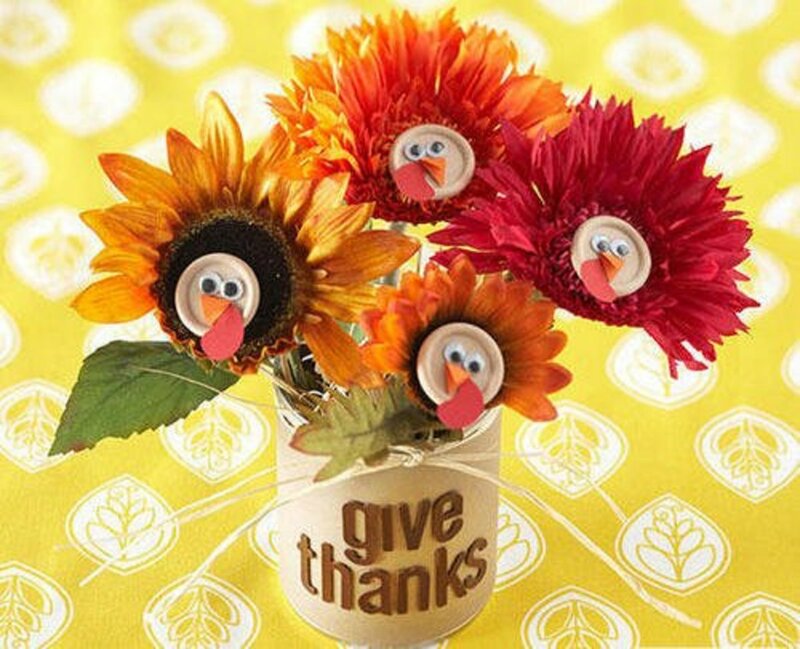 Not only are they great for school, they make great decorations for a holiday themed display or as unique Canadian party favors. They are super durable and will keep indefinitely. Wrap them up in tissue paper and store them in a shoe box until you are ready to use them again. Decorate your North Pole village for Christmas and then use them as table decorations during Canada Day festivities. Gather Your Materials and Let's Get Started! 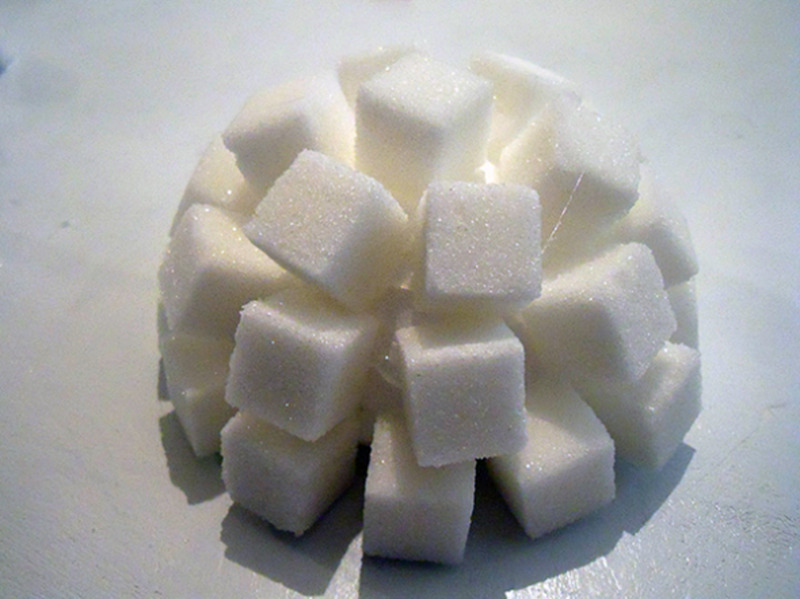 I use 2.5" Styrofoam balls, which is the smallest size you can use that will accommodate the size and shape of sugar cubes. The larger the size of ball you use, the larger the igloo will be. Using a few different size balls, you can make a whole snow village. 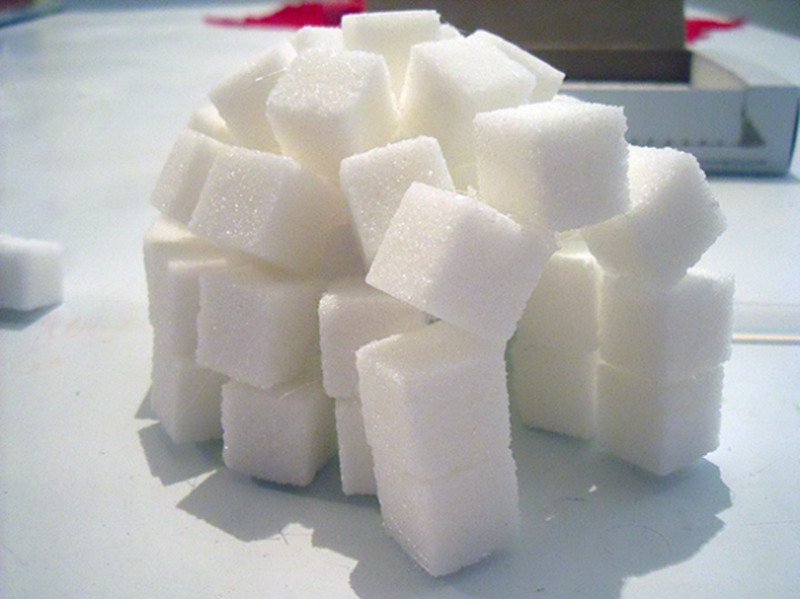 Because sugar cubes are square and uniform in size, you will not be able to make a perfectly formed igloo. There will be gaps, cracks and holes and the cubes won't line up evenly all the way around, but that only adds to the charm of these little snow homes. 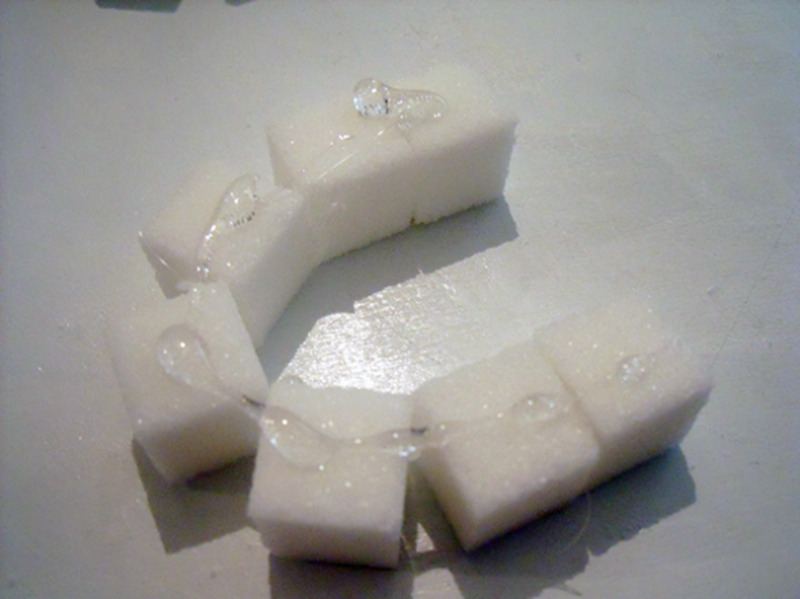 Hot glue is very forgiving, so if you make a mistake or don't like the look of the arrangement, you can gently peel the sugar cube off the styrofoam and start again. Don't fuss over it too much though! To get the curved, round shape of the dome, I start building the igloo from the top and work my way down. If you build the snow house from the bottom up, you will end up with a more angular shaped igloo. 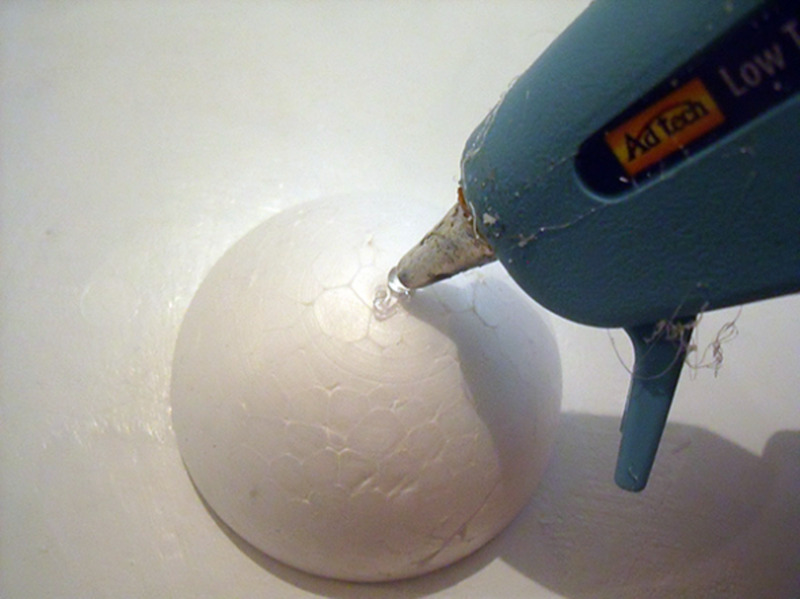 Cut the styrofoam ball in half using a sharp knife. A dull knife may cause the ball to crumble or leave uneven edges. Each ball makes two igloos. Begin building your igloo by laying half a styrofoam ball flat side down on the table and place a small dollop of hot glue on the top center of the dome. 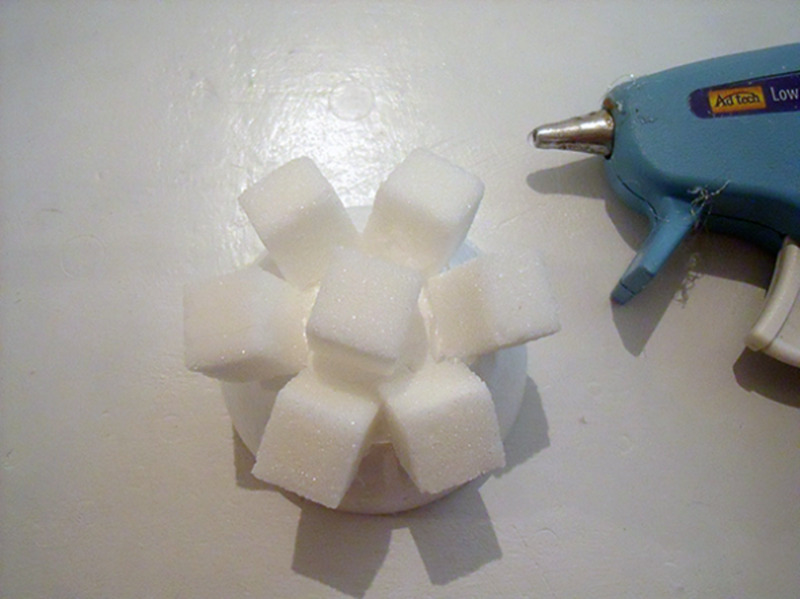 Place one sugar cube on top of the glue and press down gently. 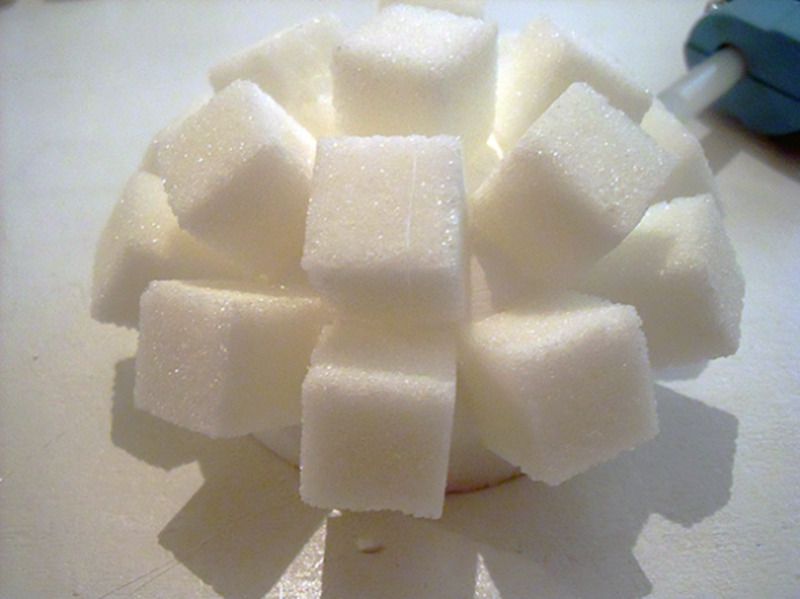 Make your next layer by gluing a ring of sugar cubes around the center block resembling the shape of a flower. Start the third layer by gluing a cube underneath and in the middle of two cubes from the second layer. Continue gluing the blocks around the ball to form a complete circle. To make the fourth layer, repeat the instructions above, only this time, the cubes should line up with the bottom edge of the ball. Next, we will be adding a base. 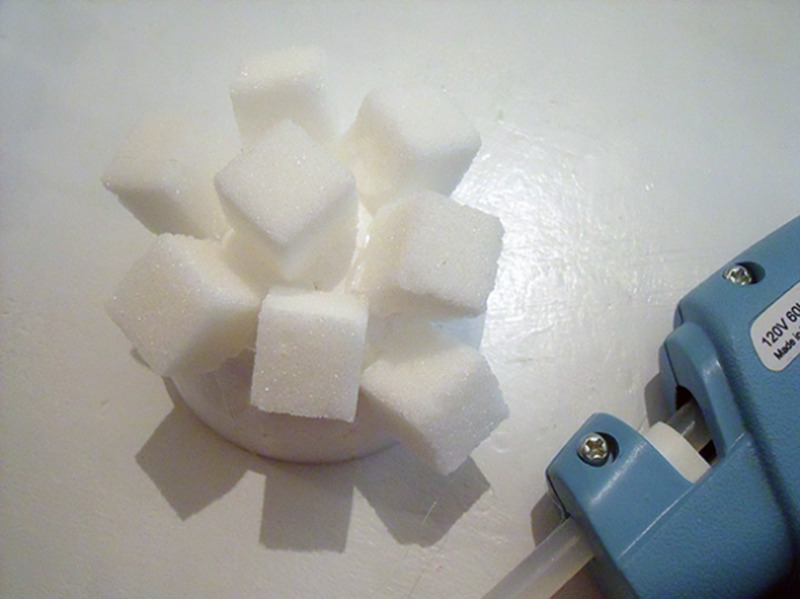 Glue a ring of sugar cubes to the bottom of the fourth layer since we no longer have any styrofoam left to attach them to. Make a doorway by gently prying off two cubes that are vertically stacked together. Now we can see right inside the igloo. Next, we will make an arch for the doorway. 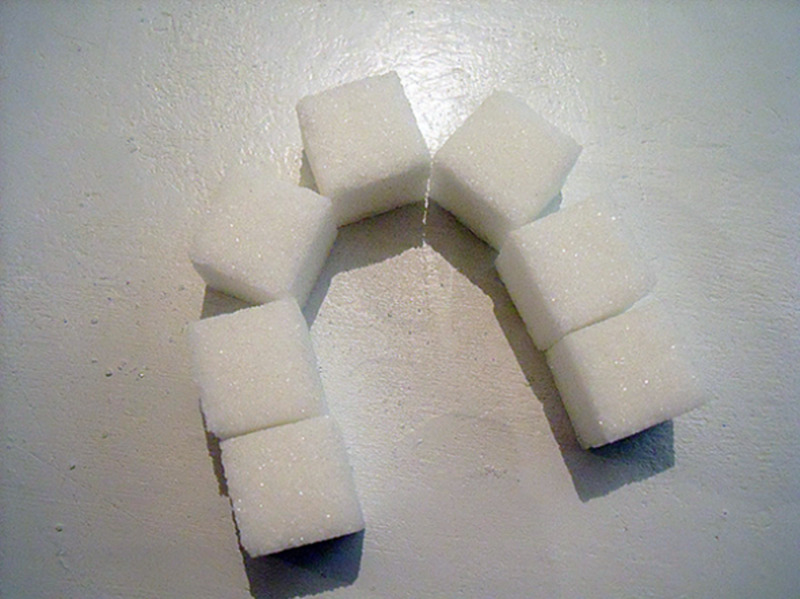 Lay the cubes on the table and one by one, glue the edges of the sugar cubes together like so, making sure to angle. This is what it should look like when it is finished. Squeeze a line of hot glue around the arch and position it in the doorway of the igloo. Pull off all the strings of glue and we are done! 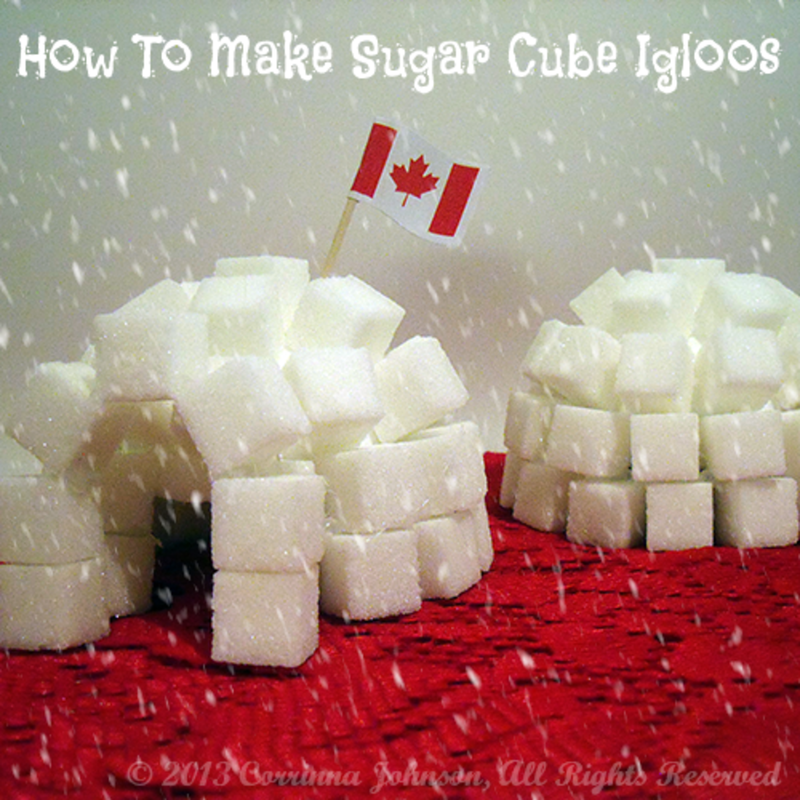 This sugar cube igloo craft is super easy and each snow home takes only about 5 minutes to make. To Make This a Fun & Edible Craft for Kids, Use Royal Icing to Glue the Cubes Together Instead! I love using these Canadian flag picks for dressing up simple party foods and table displays. 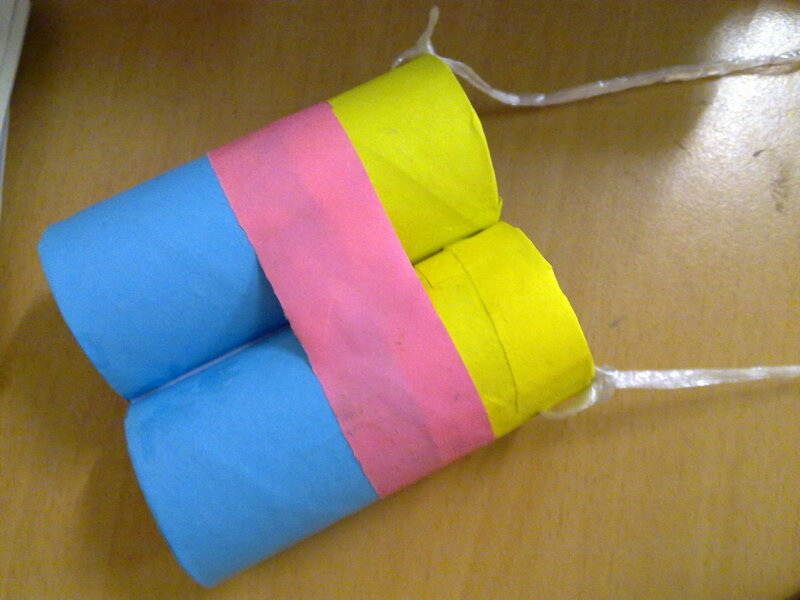 They are also perfect for using with the sugar cube igloo craft. To make the sugar cube fire pit, I painted a metal jar lid white. After it dried, I glued sugar cubes around the outer rim of the lid, being careful to leave enough space between the candle and the cubes so the sugar wouldn't melt. I used a mixture of red and white tealight candles. To add even more Canadian charm to the igloos, look through your kid's trinkets or your Christmas decorations for some cute polar bears, penguins or some fake snow to set the scene. 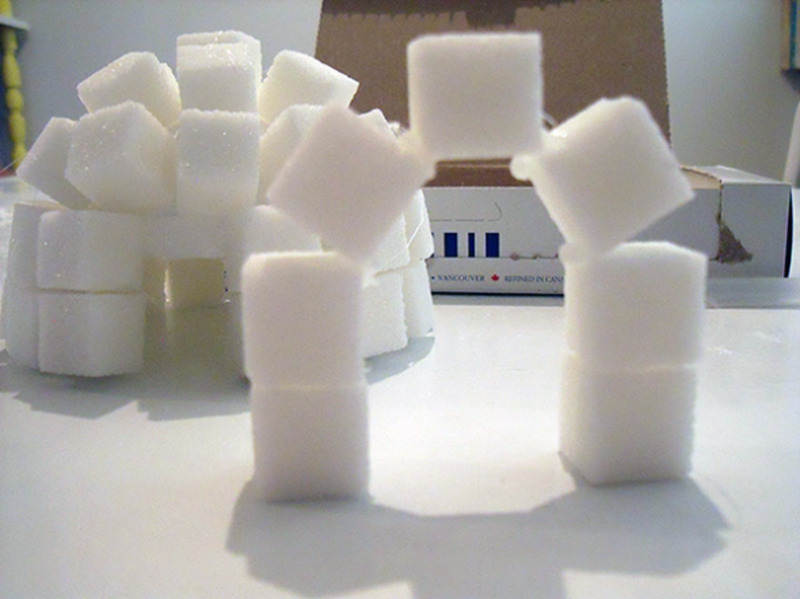 For the inuksuks, I just stacked a few sugar cubes on top of one another in statue-like poses. 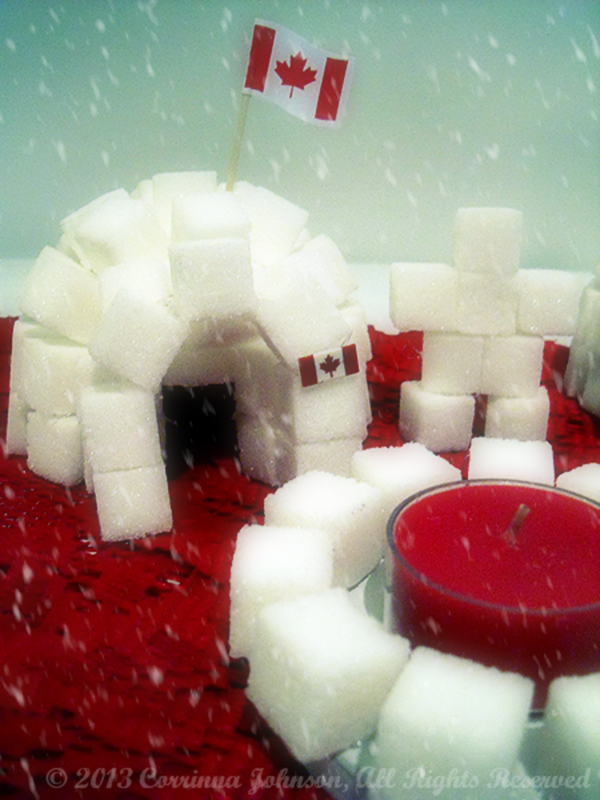 You could even make some edible candy inuksuks to go along with your igloo. Of course, every igloo needs a Canadian flag. 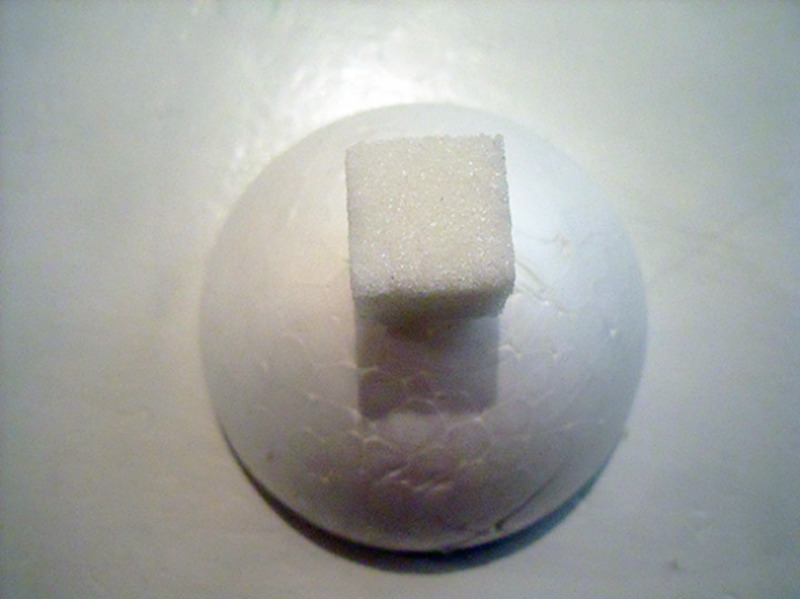 Poke a flag food pick into the top of the styrofoam ball between one of the spaces of the sugar cubes. I also added a small Canadian pin to the front door for a welcoming touch. Have You Always Wanted to Learn How to Build a Real Igloo Snow Shelter? What Do YOU Think? Do Canadians Sleep In Snow Houses? How many cubes did one igloo take? 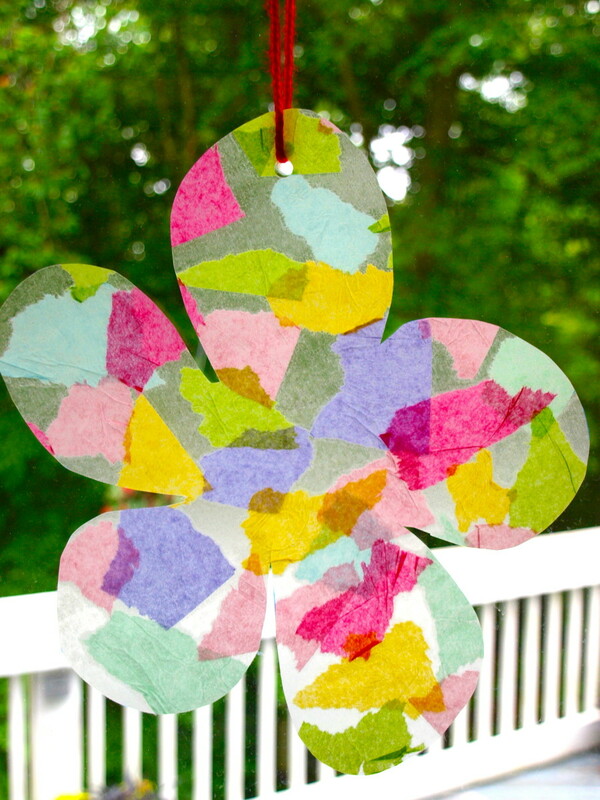 Thinking of making a larger one for a 100 day of school project. Thank you @Hezekiah! It is a wonderful project to do with kids. Thank you @georgescifo! They were a lot of fun to make. Beautiful! 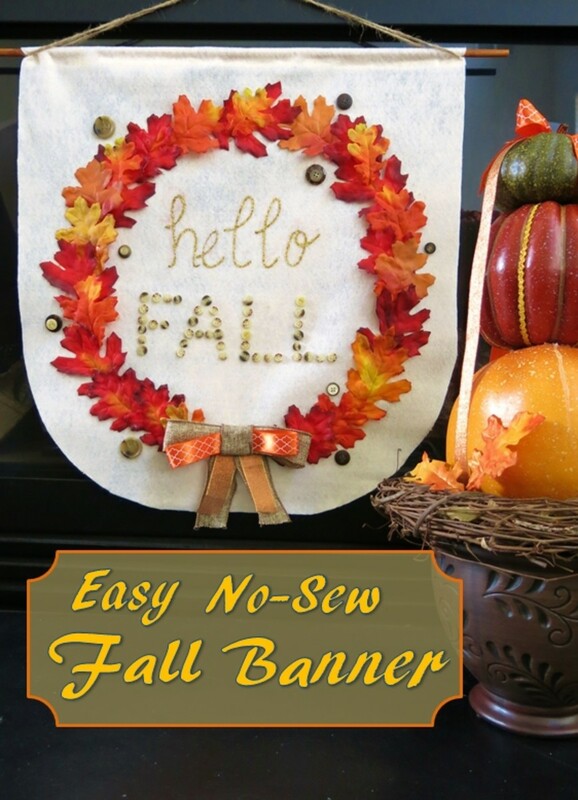 What a really neat craft and great instructions! Very clever indeed. Cool Hub, something to make with my daughter on our time togethera alone. really amazing piece of creativity and loved the way you made these Igloos...keep up the good work.. 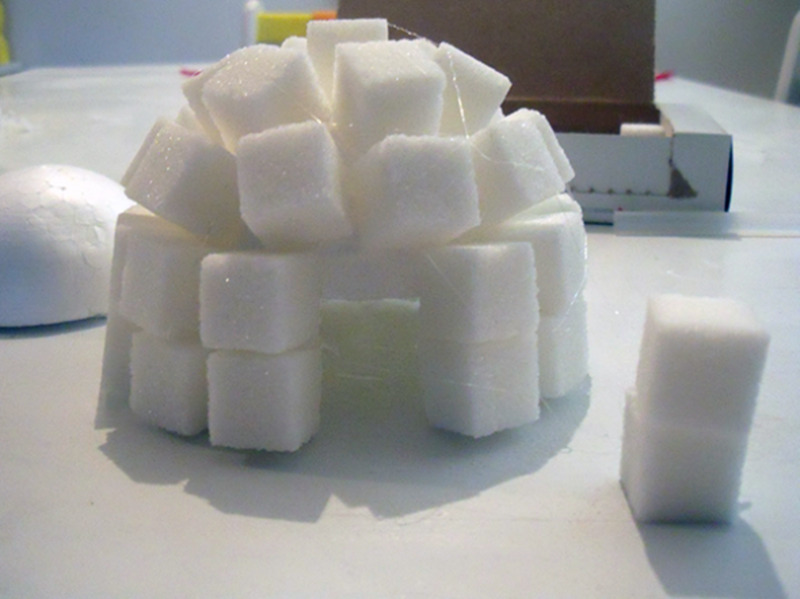 These sugar cube Igloos are so adorable! 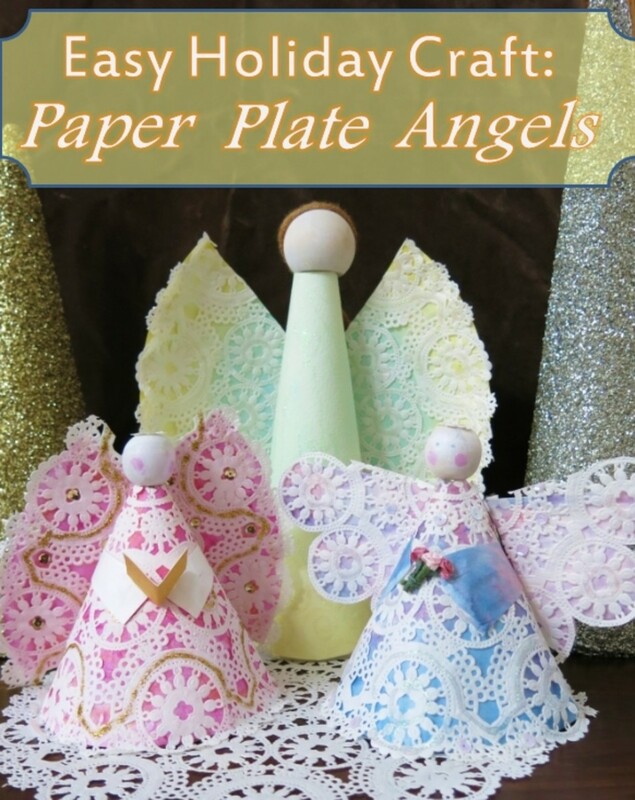 I will have to remember your craft page for Christmas craft ideas. Ohhh, that's really cool. 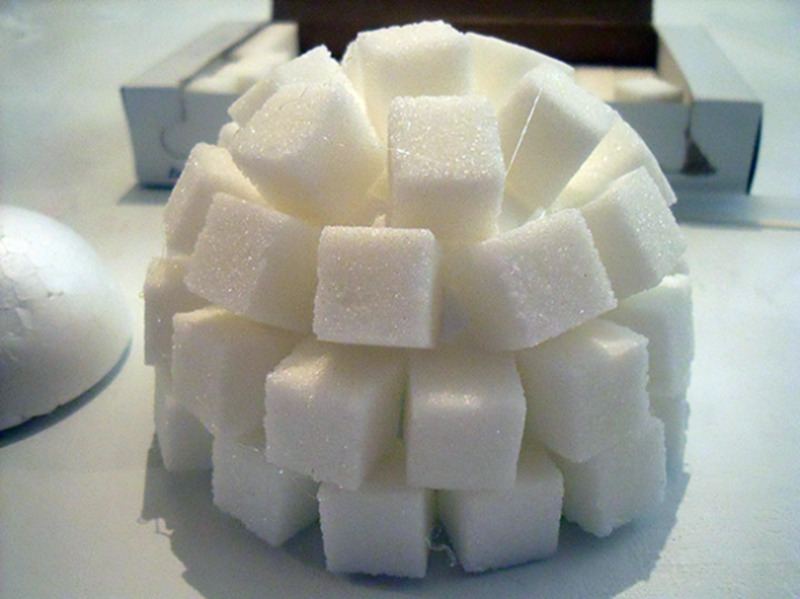 What a great way to use sugar cubes! 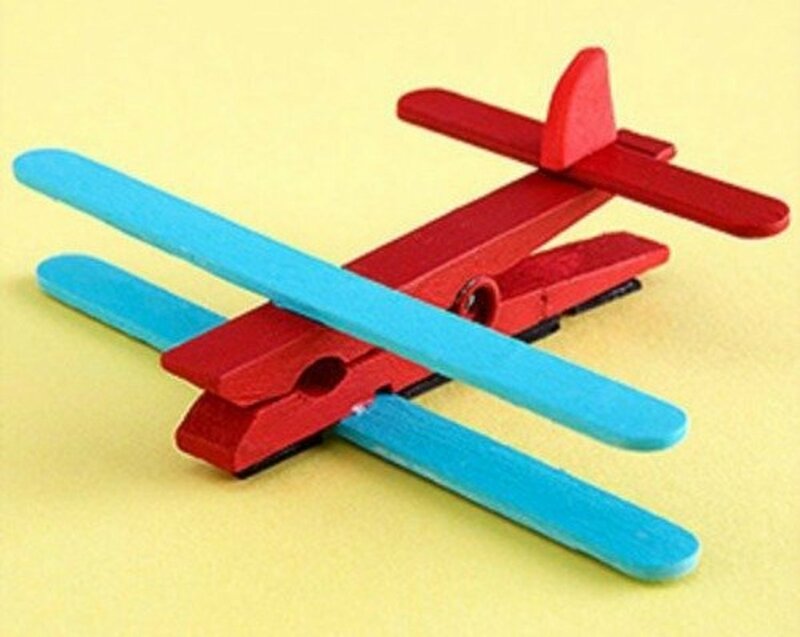 I loved this craft. Would enjoy making a real igloo, too. Excellent tutorial and pics. Thx! Lovely concept here! Thanks for your sharing! I have tried building an igloo before and its harder than it looks because the snow has to be just right to make blocks and we didn't really have that....we'd end up with a circle but never got the top right, but we had fun. 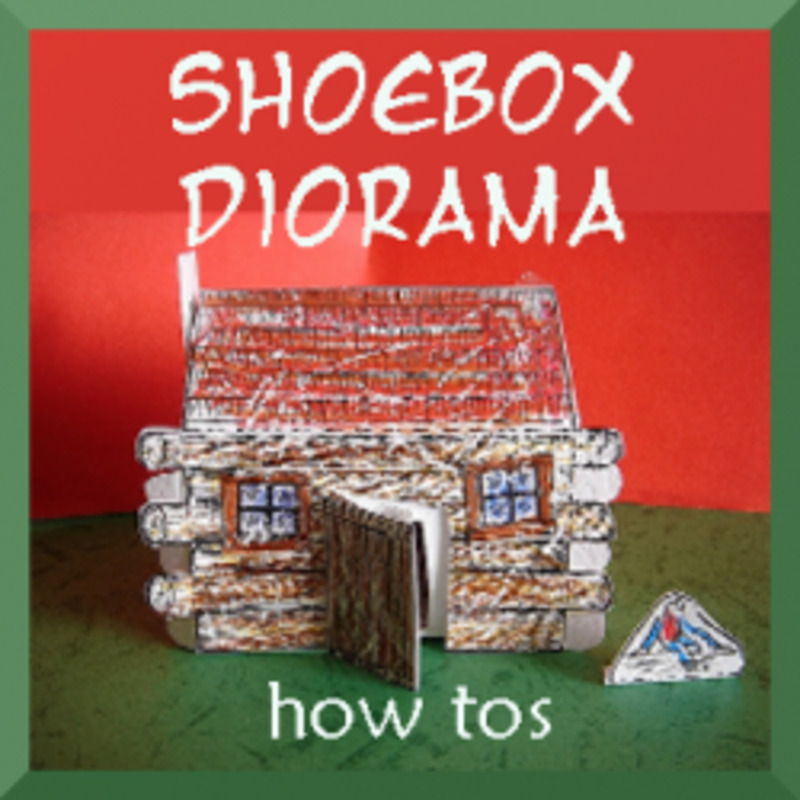 Speaking of some sweet fun, you sure have that here with your igloos and fire ring, cuteness and great DIY instructions, a great project for kids! :) Congratulations on your purple star and Imminent feature...you handled it with creativity! This is interesting. 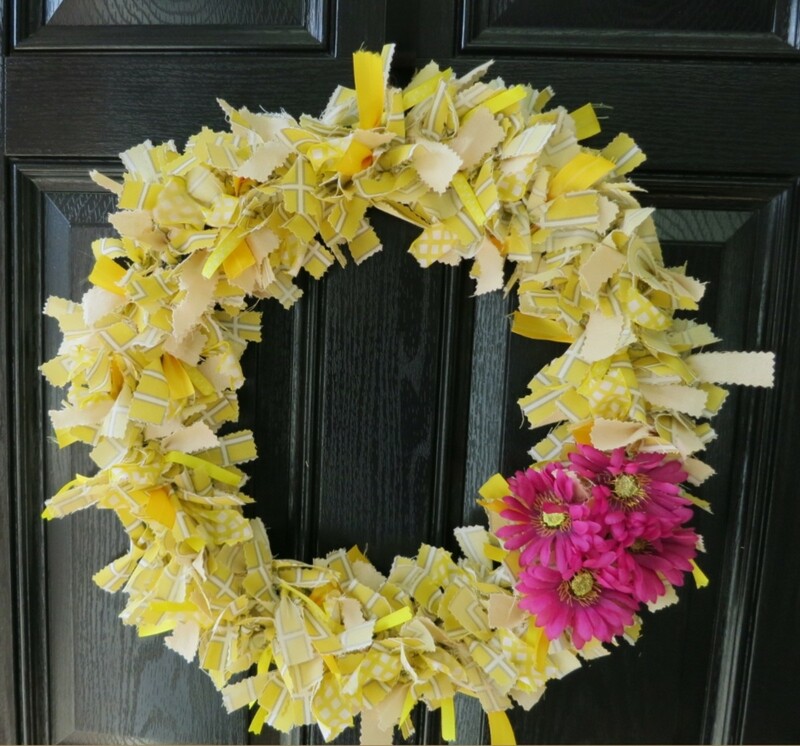 Love the concept although I'm not a crafty person myself. I've never even thought of building an igloo with sugar cubes or snow!. I would probably use royal icing as glue, as you suggest, so that the end result could be edible. 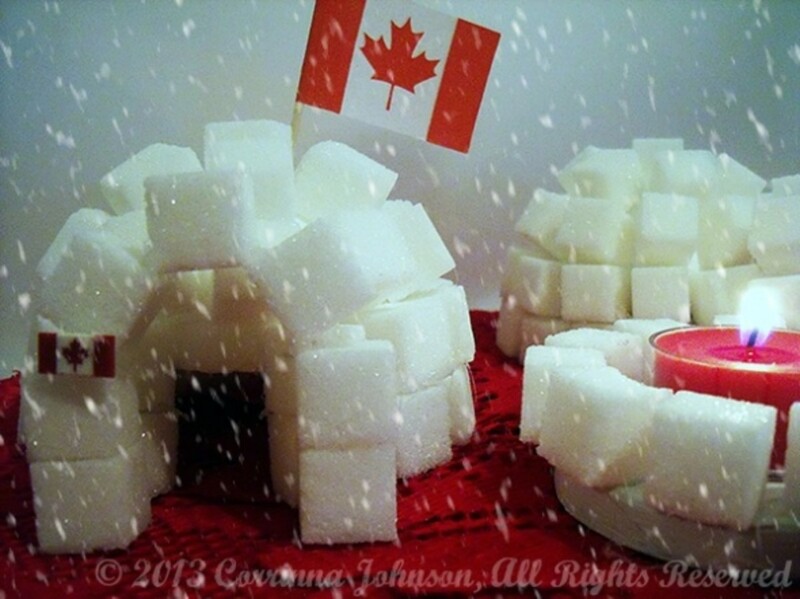 I'd never even seen a Canadian sugar cube igloo before. This is cute and sweet! I lived in Alberta for 8 years so I know a bit about cold. My next door neighbor carved one of these igloos out of snow for his kid. It was so cold, but it was gorgeous. @Shoputopian: Thanks so much. Its always nice meeting other Canadians on Squidoo and especially ones so close to home! This was amazing maybe it's because I also am from BC and could be a little bias. I totally enjoyed reading and watching as you created an igloo and the addition of the Canadian flag was priceless.